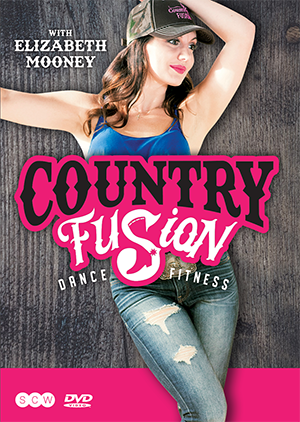 Country Fusion® is a new fitness workout that incorporates country music and dance. This workout can burn up to 500 calories in its 50min class! Country Fusion® is designed for all levels, ages, and for male and females. Learn how to dance, get an amazing workout all while having fun! To access this post, you must purchase OnDemand Monthly Subscription Payment Plan, OnDemand Annual Subscription, OnDemand Month-to-Month Subscription, SCW Premium Membership: 1 Year, SCW Premium Membership: 2 Years, OnDemand 6-Month Subscription, OnDemand 2 Year Subscription or Country Fusion.